Machine Room-less (MRL) passenger elevators were first developed in Europe and are rapidly gaining popularity in North America. MRL is an exciting new elevator configuration designed to save space, money, energy, and time. It is a good choice for mid-rise buildings that need to get passengers where they are going quickly. 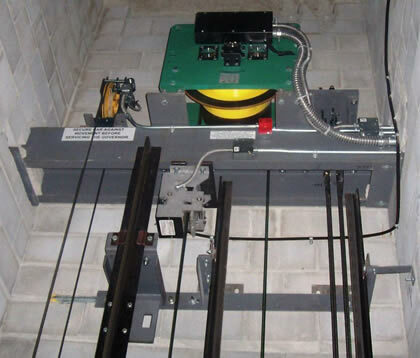 MRLs save space by placing the compact, gearless machine directly in the elevator shaft. There is no need for a roof top machine room, which potentially lowers building construction costs. Gearless machines and counterweight configuration of MRLs increases energy efficiency and provides a smooth, quiet ride. MRLs typically travel faster than traditional hydraulic elevators, which saves time for riders. Unlike other MRLs, the Delta MRL includes a rope gripper to prevent unintended motion. Ask us about this important safety feature!